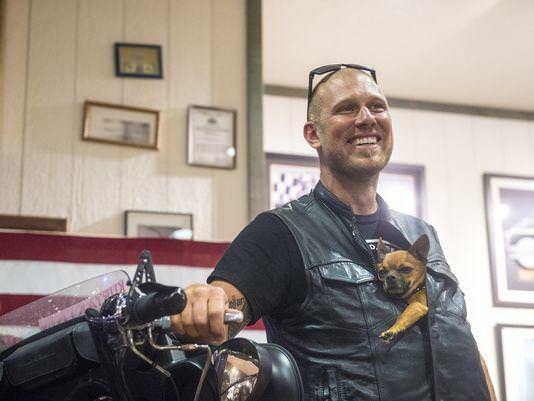 GETTYSBURG, Pa. — Adam Sandoval and his Chihuahua, Scooter, have logged 82,000 miles on a motorcycle over the last two years, traveling cross-country six times to support the Wounded Warriors Project and the American Legion Legacy Scholarship Fund. Along the way, the duo has grown a fanbase. Last weekend, Sandoval, with Scooter tucked in his jacket, arrived to great fanfare for a meet-and-greet inside the Gettysburg Battlefield Harley-Davidson dealership with bikers who had traveled from near and far to see them. A large crowd surrounded them, struggling to make it to the front as they held up their phones for pictures. 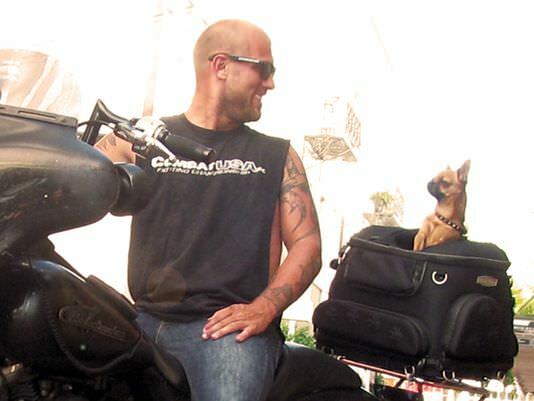 Scooter stared at his admirers, wagging his tail as he was placed on the bike seat, while Sandoval addressed his countrywide fans on his Facebook livestream. “I’m kind of at a loss for words for the first time in a long time right now,” he said. 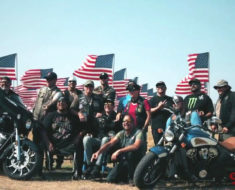 Sandoval and Scooter have raised more than $250,000 for the military by riding across the country, hitting every Harley-Davidson dealership in the lower 48 states. This was their last one. 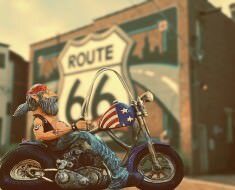 They have a Facebook page, Scootin America, where fans can follow their journey. 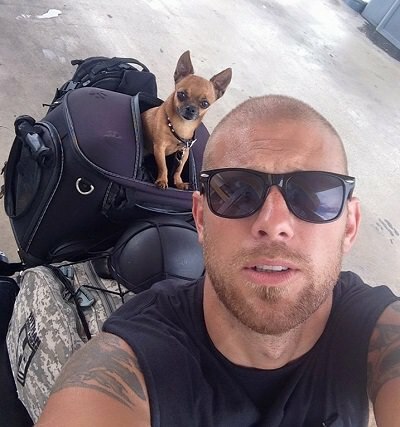 Sandoval began his trip in November 2014, departing from Florida with Scooter as a way to give back to the military, for which he always had admiration. He said that after making poor choices in his 20s, he regretted not having joined. 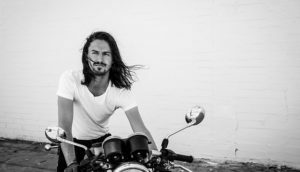 He chose the motorcycle trip as a way to give back because he was passionate about riding and wanted to use what he loved to make a difference. When Sandoval started, he did not have the support he does now. 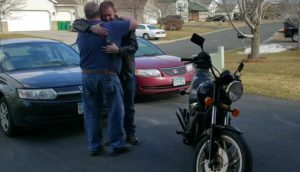 He spent many nights camping next to his bike behind gas stations, in church parking lots, in fields and between buildings, he said in a video on the Scootin America page. 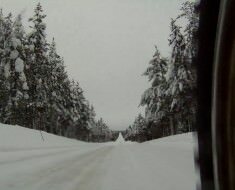 “It was a very lonely, long road for a long time,” he said. But he always had the company of Scooter — now 8 years old — who has been riding with Sandoval his entire life. 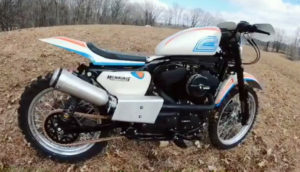 “He loves to ride more than I do,” Sandoval said. 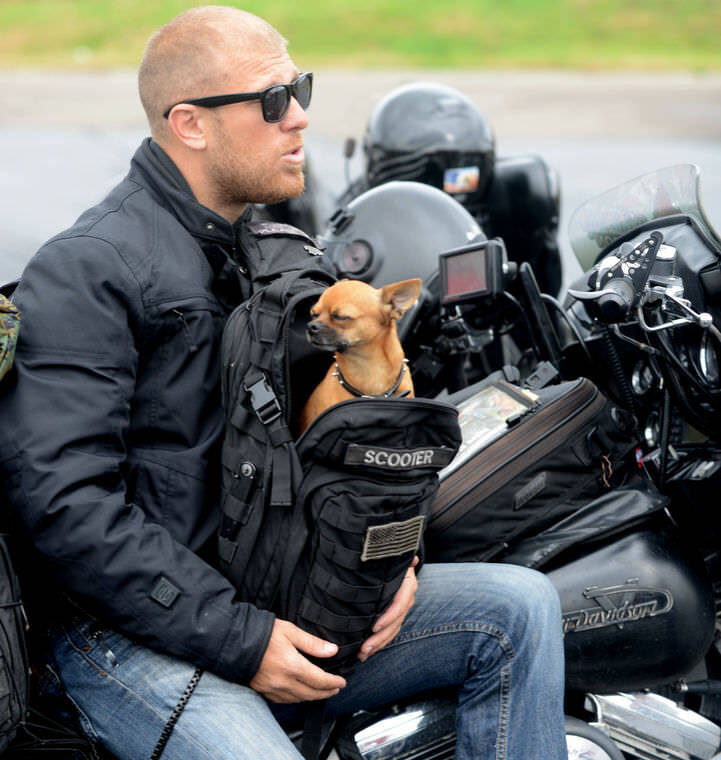 He’s ridden with him since he was 10 or 11 weeks old. You can check their FACEBOOK PAGE for more info and updates.